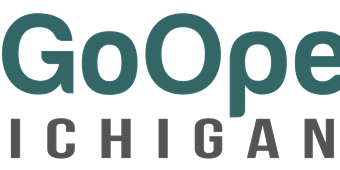 These professional learning Modules were developed as part of the #GoOpen Michigan initiative. They may be used as is, or taken and modified for your needed use. Finding an Using OER is a presentation for those who are beginning to use OER; it has places to begin looking for quality OER, and ways to use found resources. Planning Instructional Designs with OER is a presentation that implements OER selection and use into the instructional design model. In this module, we are going to examine ways to create your own OER by adapting other open educational resources, building upon existing resources, and mixing and matching a variety of OER. In this module, we are going to explore ways to create your own OER. This module focuses on building a base understanding of what is Open Educational Resources. As you journey through this module there are rich content and opportunities to deepen your knowledge working independently or with thought partners. Here are the outcomes you will accomplish from completing this course.